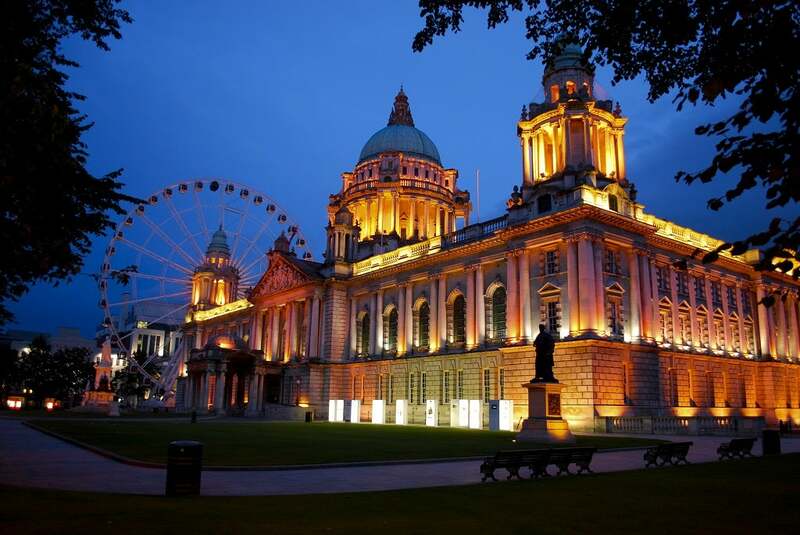 Belfast, the capital of Northern Ireland is considered a modern, growing city which embraces its violent history, but is moving forward at the same time. Belfast has a relatively small population for a city, just under 600,000 which includes all the outlying suburbs. It has a slow pace of life compared with most of the States, but is known for its hospitality and warm welcome. Tourism is becoming increasingly important in the area, and people flock from all over the world to enjoy this city. Boston has the highest percentage of people with Irish ancestry and, as such, certain areas have an Irish feel about them. Scituate, which is 30 miles from Boston, proudly boasts that over 50% of its population are from Irish descent. Boston is full of double storey and triple storey houses, which is typically Irish. The city if full of Irish pubs and restaurants, and Boston’s history is entwined with that of its Irish immigrants which began arriving in the mid-19th century. The cost of living in Boston is substantially higher than Belfast. Renting a property will cost you over 50% more in Boston than Belfast and groceries almost 40% more. If you need around $6,000 per month to live comfortably in Boston, you will need around $4,700 per month in Belfast to sustain the same lifestyle. Renting a furnished 900 square foot flat in an expensive area in Belfast will cost around $1,670 per month, and in Boston the same flat will cost $2,870 per month. The same flat in a modest area will cost $1,090 in Belfast and $2,210 in Boston. Utilities in Boston will be around $190 per month and in Belfast, they will cost around $220 per month. The average price of a house in Boston is $553,700 and in Belfast it is $145.600. A one bedroom flat in an upmarket block in the city will cost around $95,000. If you move away from the city centre, the same flat will cost $86,000. Most people living permanently in Belfast buy their houses rather than rent. There are large houses available away from the city centre and many apartments in the city itself. The prices are lower than the rest of the UK but house prices are forecast to rise by as much as 15% this year. One of the most expensive areas in Belfast is Castlereagh. It is full of large detached houses, golf course, woods and countryside and is a favourite among expats. To the south of Belfast is Newtownbreda, which is an up and coming area, especially suited to families. It has great houses and apartments, together with lots of countryside to explore but also has all amenities, such as shops, right on the doorstep. If living with students, and the bars and restaurants that always go with the student quarter of any city, is your cup of tea, then Queen’s Quarter is the place to live. It’s very close on foot to the city centre and the botanical gardens. The perfect place to live for singles or young couples who enjoy a trendy vibe. The Titanic Quarter and waterfront is in the process of being redeveloped and has a variety of flat complexes, all with views. There’s also a good selection of bars and restaurants in the area. The main bus service used in Belfast is Metro. The Metro Network operates on all the major routes in and around the city. There is also an efficient train service which links all the major towns within Northern Ireland and the Republic of Ireland. Translink issue an iLink integrated smartcard which gives the user unlimited day, weekly or monthly rail and bus travel within Northern Ireland. The card can be topped up at various outlets and saves the hassle of buying separate train and bus tickets. Children travel at half price. Fares obviously vary depending on the distance of the sector you are travelling in but generally a monthly season ticket will cost $76. Northern Ireland is part of the United Kingdom and therefore follows the same school system. Children generally start school around 5 years old, sometimes a little younger. They stay in primary education until they are 11 and then move on to either grammar school or secondary school. To attend a grammar school, the child need to pass an exam called the 11+. Grammar school places are not easy to get and a child needs to be academically bright to gain a place. There are several private schools in Belfast. The Belfast Royal Academy is a co-educational school and takes children from the age of 3 until 18. Campbell College is a boys only boarding and day school which takes children from 3 up to the age of 19. Strathearn School is a girls only grammar school which has an excellent reputation for academic achievement. Even the Queen visited the Game of Thrones set when she visited Belfast, although she confessed she hadn’t actually watched the series. You can explore other filming locations just outside Belfast such as The Wall, The Kings Road and Winterfell. A must for all Game of Thrones fans. The pneumatic tyre was invented in Belfast by John Wood Dunlop in 1887. The city is also famous for being the world’s largest dry dock. The ill-fated Titanic was built here in 1912. Another claim to fame is that Led Zeppelin played the first live performance of Stairway to Heaven here. An obvious ‘must’ when living in Belfast is visiting the Titanic Visitor Centre which was opened in 2012 to commemorate the centenary of the loss of the Titanic. A tour of City Hall and a few hours exploring the state of the art Ulster Museum will be time well spent. Wander round St. George’s market and decide what delights to have for dinner. Admire Stormont, the home of Northern Ireland’s Government and take a guided tour around Crumlin Road Jail. There are many historic buildings in and around the city which are open to the public. At the end of the day, take a walk up Cave Hill and enjoy the panoramic view from the top. By the time you have walked back down you will be thirsty and ready for true Irish hospitality at the local pub. As for pubs, there are so many to choose from but everyone visits The Crown Bar in Great Victoria Street. If it’s good enough for President Clinton, it’s good enough for us. There’s a large selection of restaurants in Belfast, offering a variety of different styles of food from various countries. Try Deanes which is a favourite with celebrities. A three-course meal will cost $53. Ox is waiting for its well-deserved Michelin Star and is packed every night. A meal here will cost you $68 including wine. If you want some authentic fish and chips, then head for Longs which has been serving the best fish and chips since 1914. For the vegans and vegetarians among you, That Vegan Café in Stranmillis Road is definitely a place to try. Belfast’s nightlife revolves around the various pubs and bars in the city. They don’t stay open all night as they do in the States, in fact most close at 1.30 a.m. or earlier but the atmosphere in these places is amazing and makes up for the shorter hours. There are so many historic pubs, dating back centuries that you are spoilt for choice. All the best pubs offer great food and a festive atmosphere. If you are tiring of the typical Irish pub vibe, then go to Apartment which is a cocktail bar and restaurant on the first floor which has a contemporary feel to it. It has plush sofas in the bar which overlook City Hall. Cocktails start at $6.